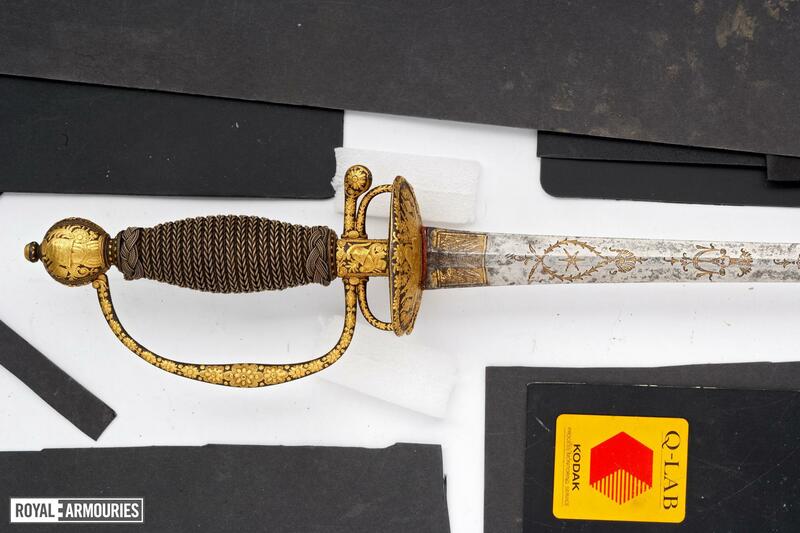 From the collection of Captain L. Beck Purchased at auction (Sotheby's), 9th June 1950 with IX.936. 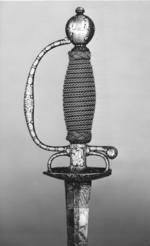 Hilt: blued steel, comprising pommel, knuckle guard with integral lobate quillon and arms of the hilt, symmetrical oval shell guards and grip. 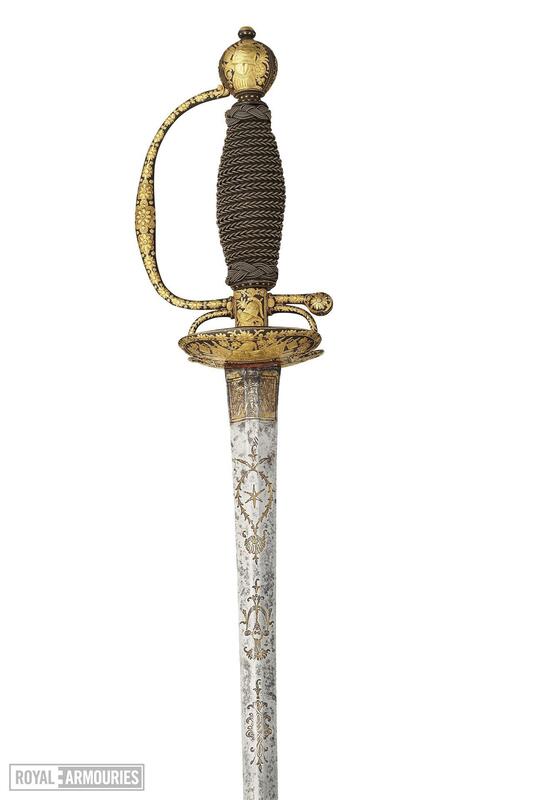 All the steel elements of the hilt are heavily encrusted with with gold decoration in the form of flowers, trophies of arms, musical instruments and flags. 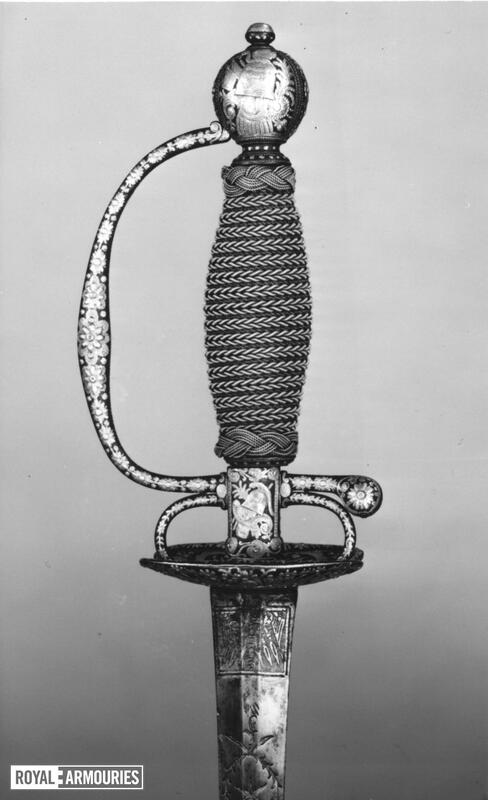 The grip is of wood bound with silver wire. 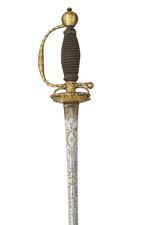 Blade: etched with designs of swags, stars, strapwork and trophies of arms and is gilded at the forte. 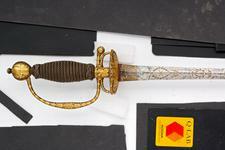 A.R.Dufty, European Swords and daggers in the Tower of London HMSO 1974, p. 27 and pl. 63d. 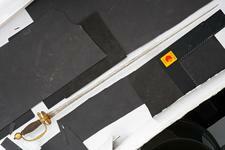 Dorling Kindersley, Weapon. A visual history of arms & armour, Dorling Kindersley Ltd, London, 2006, pp. 10 (col. illus., centre), 112 (col. illus., right).